As has been the case over the past year the market was relatively flat again today until those clever investors decided that they just had to buy stocks in the last 24 minutes of the day. I've given up trying to understand the rationale - as have most traders - and just decided to go with the flow. Stocks have added about 4 percent in the last 2 days on no news and virtually no volume. Maybe they should leave the rookies in charge all of the time. 1. This is a map showing state obesity rates in 1991 vs. 2007-2009. 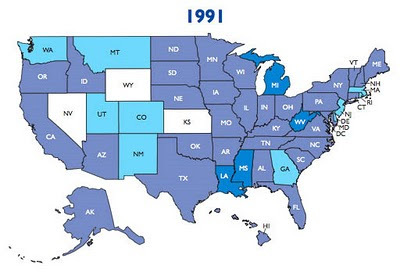 It is truly startling that our fittest state today - Colorado with an obesity rate of around 19% - would have been the heaviest state in the US in 1991. That's a staggering change and there is plenty of blame to go around - cable TV, the Internet, the industrial food complex, etc. 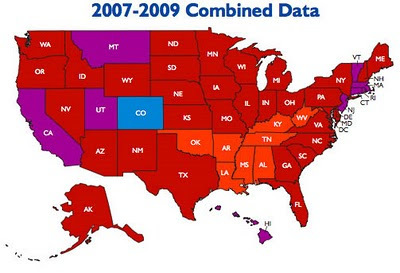 In the current map, states in orange have obesity rates over 30%. What is going on from WV to OK? I find this snarky poster poking fun at Apple to be very clever. "Hey, our phone isn't broken, your hand doesn't work right. Guess what? Yeah, there's an app for that. 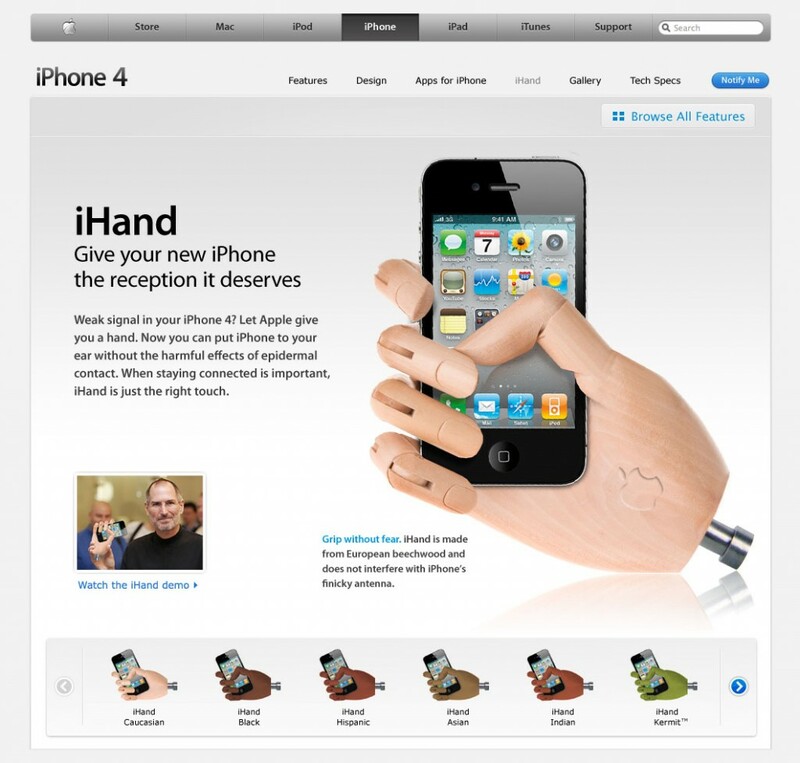 The iHand."